In case, you're looking to skip Halloween and Thanksgiving and go straight to Christmas, Denny's is already offering their Rudolph Pancake Breakfast and new Holiday Cookie Milkshake. 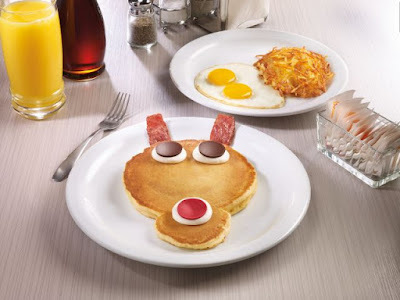 - New Rudolph Pancake Breakfast - Inspired Rudolph the Red-Nosed Reindeer, two joined buttermilk pancakes make the head, while the effect is finished with turkey bacon antlers and vanilla cream topped with chocolate eyes and nose. It comes served with two eggs and hash browns. - New Salted Caramel & Banana Cream Pancake Breakfast - Two buttermilk pancakes with shortbread pieces cooked inside, layered with vanilla cream and topped with fresh bananas, warm salted caramel sauce, and more shortbread pieces. Served with two eggs and hash browns, plus a choice of two strips of bacon or sausage links. 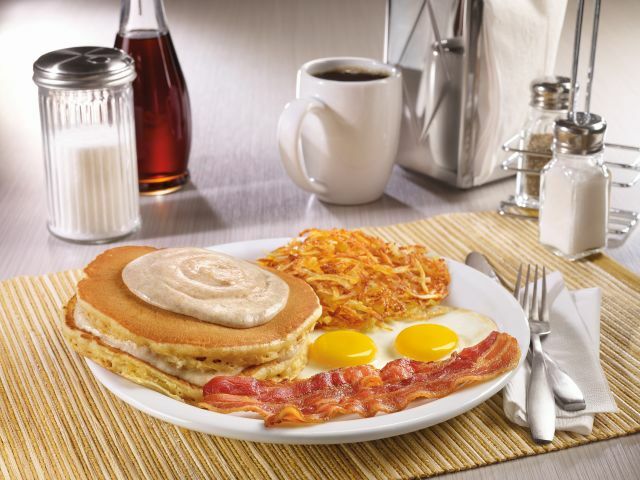 - New Pumpkin Cream Pancake Breakfast - Two pumpkin pancakes layered and topped with pumpkin cream and served with two eggs and hash browns, plus a choice of two strips of bacon or sausage links. - New Sticky Bun Pancake Breakfast - This one is a carry-over from their previous featured menu and features cinnamon sauce and cream cheese icing drizzled over two buttermilk pancakes with glazed pecans cooked inside. 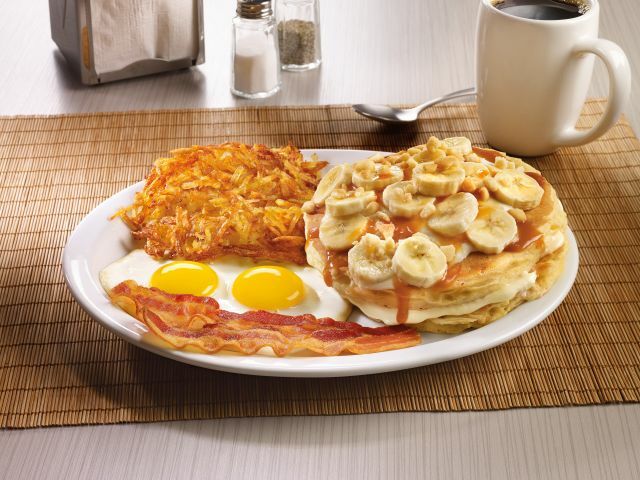 The pancakes are joined by two eggs and hash browns, plus a choice of two strips of bacon or sausage links. - Turkey & Dressing Dinner - Carved slices of turkey breast served with stuffing, turkey gravy, and cranberry sauce along with a choice of two sides and dinner bread. 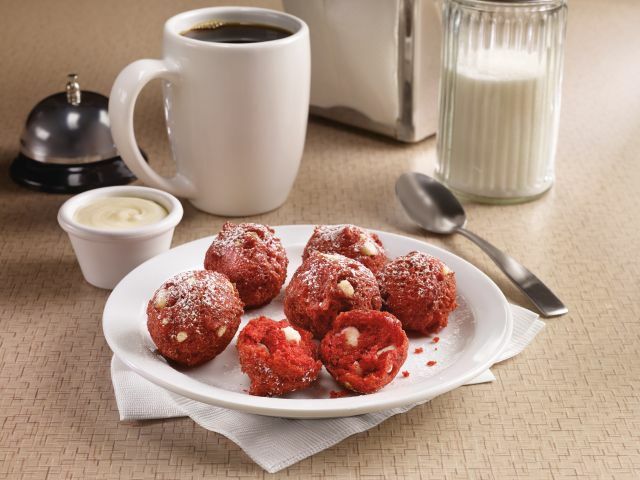 - Red Velvet Pancake Puppies - Made with white chocolate chips, tossed with powdered sugar and served with a side of cream cheese icing for dipping. 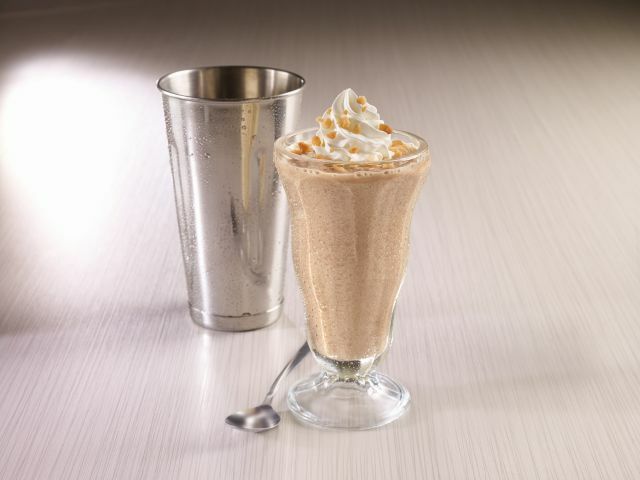 - New Holiday Cookie Milk Shake - Vanilla ice cream blended with cookie butter, topped with whipped cream and shortbread pieces. - Pumpkin and Pecan Pies - By the slice or whole. The seasonal fall-holidays menu is available nationwide through January 9, 2017.